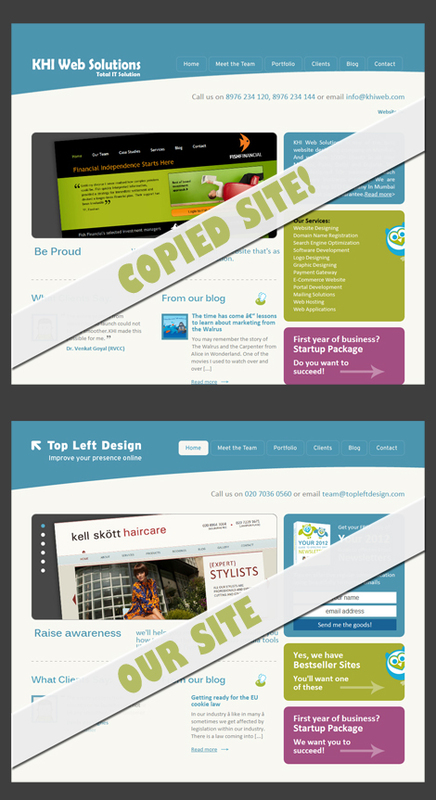 The shocking story of how the Top Left Design website got ripped off — and what we did about it. We had a look and sure enough – complete rip off!! Except that they have done a really poor job of placing their logo and have put badly written text in. Many of the pages look incomplete, and they have icons and buttons linking back to our site anyway!